Those of you who are coming out for a Seattle vacation may want to consider giving yourselves a bit more time than the typical two-night, two-day weekend. You could spend a lifetime exploring and getting to know our Emerald City. So, somewhere between a regular weekend and a lifetime, let’s compromise on a three-day weekend. Here are some tips on how to spend it wisely. 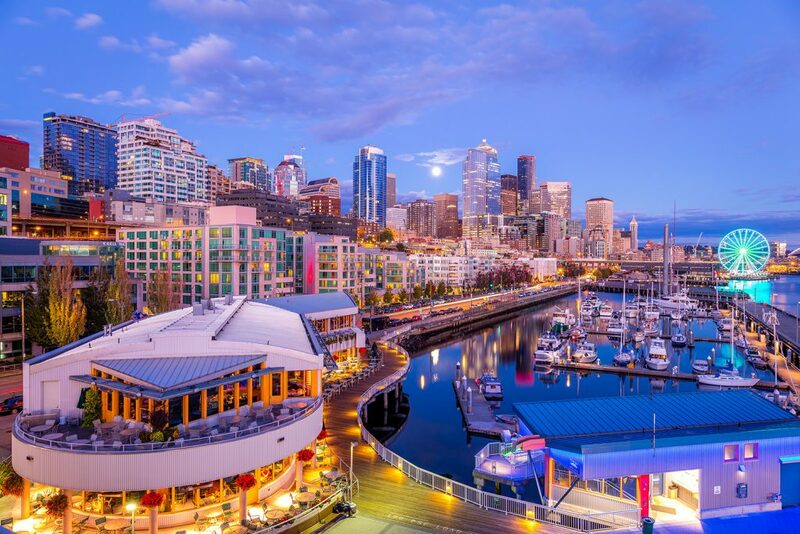 Three days and three nights leaves you a lot of time to dine out in Seattle, which is great, because our restaurant scene is one the best in the country. For some ideas on which restaurants to map out for your three-day weekend in Seattle, check out some of our guides like Our Favorite Seattle Restaurants with Al Fresco Dining, Our Favorite Restaurants on Capitol Hill, and The Most Romantic Restaurants in Seattle, and don’t miss our own Lobby Bar, with Pacific Northwestern cuisine from Executive Chef, Paolo Pezzali. When you have an extended weekend getaway, you can devote entire days to different themes. One of our favorite aspects of Seattle is that it has a really well curated, and unique museum scene. For your day of culture in Seattle, you should begin by exploring the unique Seattle Museum of Pop Culture. Other standouts in the Seattle museum world is the Museum of History and Industry and the Frye Museum. Seattle is filled with original and distinct areas, and the land surrounding the city it is absolutely gorgeous. While you’re spending a long weekend here, take some time to take a day trip to one of the city’s most talked about neighborhoods like Fremont, or get out for and explore something nearby like the island of Bainbridge. After spending some time diving into the city culture along with its restaurants and neighborhoods, be sure to take a day for self-indulgence while you’re staying in Seattle. You can start plotting out this part of the trip by taking a look at our Shopper’s Guide To Downtown Seattle. If you’re staying three nights in a single city, make sure that the hotel you choose is as luxurious and well-located as possible. Our Presidents Day offer means you can experience Forbes Four-Star luxury in downtown Seattle at exclusive rates.